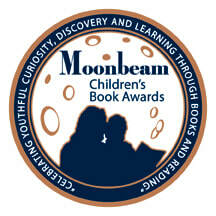 I am the award-winning author of The Chronicles of Kibblestan, a children's fantasy series with a patriotic twist. Praised by Kirkus Reviews and recipient of a 2017 Moonbeam Children's Book Award, both children and adults are enjoying this fast-paced series that weaves some of America's founding principles into the saga of a fantastical land's struggle to be free. What does it take for a land to be free? Available in paperback and e-book at Amazon. Want a signed copy? click here. Buy both books and save! Are you a reseller, school, library or book club? Please contact me directly for special pricing. "In a society that screams 'surrender', Andrea Rand's series of stories cry 'empower'. Fun and heartwarming, The Chronicles of Kibblestan is the type of series I hope to read to my own children one day to ensure their creativity is nurtured and their love of Liberty is abundant." Subscribe to my newsletter for updates on all things Kibblestan and behind-the-scenes information about the writer life. "Oh, how our family loves this fabulous new adventure story about a boy, his dog, an adorable mouse, and a variety of endearing and frightening critters and creatures in the land of Kibblestan. A stranger in a strange land, Ellis offers assistance to the inhabitants as they take refuge and then plot a revolution against the tyrannical and evil Snotlins. The word choices and adventures are right down my eleven-year-old boy's alley - the author shows a real understanding of what makes kids tick - resulting in a story that even the most reluctant boy will devour within a few days. And as a parent, I was thrilled that the story also serves as a parable about democracy and the great value of our founding documents and recording of history. It is rare to find such a well-written book, packed with action and adventure, that also serves as a teaching tool about our Constitution, Bill of Rights, and founding principles. You know you have discovered a wonderful book when you are battling your 5th grader over whose turn it is to read the book!" -- Laurie Cockerell, Author of "Founders Fables" and "Magnificent Sam: The Amazing Adventures of Sam Houston"
"Just wanted to let you know that I was finally able to give my little friend Danielle your book on Thursday evening ... And the reviews are in....she is enthralled! Her mom told me she isn't usually a reader but cannot put the book down. She is really excited to know there will be more to come." "I gave the first copy of your book to my mom, which she loved! I downloaded another copy on my Kindle this weekend for vacation... Already finished it! Your messages are so relevant for all ages, especially today!" "I just wanted to tell you that my youngest Remi is currently reading your book and absolutely loves it! She's on chapter 10 and can't stop telling me all about it."